It’s important to understand assault is not battery. Assault leads to battery. Assault has both criminal and civil consequences, but here we will focus on the criminal consequences under California Penal Code Section 240. It states an assault is committed when you make an “unlawful attempt, coupled with a present ability, to commit a violent injury on the person of another.” The threat to injure another coupled with the ability to do so is all that it takes to get you in to trouble. Once you have been arrested and subsequently charged with assault, the district attorney will have to prove two things: that you intended to commit a battery (that is, the touching of a person) and that you had the immediate and present ability to commit that touching. Say, for example, you get into an argument with another person and try to hit him or her with your body or with an object. In that scenario, you would likely be guilty of committing an assault – even if you did not actually make contact with the alleged victim. For it to be considered an assault, the threat must be made when you have the ability to follow through and commit the battery. If these two components occur at separate times (i.e. you make the threat when you are unable to follow through), it is not assault. When certain circumstances are present, an assault may become aggravated. In aggravated assault cases, the district attorney must prove these conditions, like the use of a deadly weapon, occurred at the time the crime was committed. Aggravated assault charges are considerably more serious and carry more penalties. These penalties increase further when you make this threat on public officials, including police officers, firemen, judges, prosecutors, public defenders, and elected officials. What are the Penalties for Assault Charges? An assault – one without aggravating circumstances – is a misdemeanor offense. If you are convicted of simple assault in California you may face up to 6 months in county jail, a maximum fine of $1,000, and/or probation. 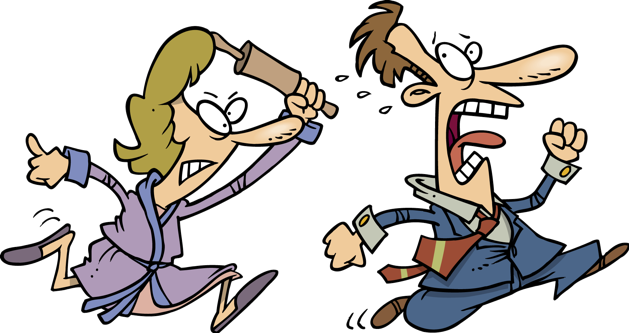 The penalties for aggravated assault are generally much harsher. In California, aggravated assault is what is known as a “wobbler,” meaning that the district attorney can charge the crime as a misdemeanor or a felony with different penalties. In making this determination, the district attorney will review all information relevant to a case, including the seriousness of the crime, whether another person was seriously injured, and your own personal criminal record and history. A misdemeanor aggravated assault conviction can result in up to 1 year in a county jail, a $1,000 fine, and/or probation, whereas a felony conviction can result in 2 to 4 years in state prison and/or fines of up to $1,000.